Do I Need A Lead Inspection? 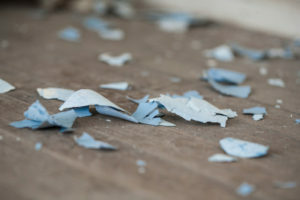 Lead paint and lead dust both cause lead poisoning, especially in the three most at-risk groups: children, pregnant women and pets. But everyone is at risk and needs to take precautions. Lead testing will let you know if you have an elevated level of lead in your home. Hire a certified lead inspector to conduct a lead test – it could save a life. Lead poisoning can occur when lead is ingested or inhaled. Every year, over 500,000 children under the age of six get lead poisoning. Lead poisoning causes brain. DANGER! – What’s Coming In Your Open Windows? As the weather gets warmer, we like to open our windows to let in the fresh air. Problem is, that air is not as fresh as you think. What you may not realize is if you live in a house constructed before 1978, simply opening a window could result in the release of toxic lead dust. Where does the dust come from? Paint that’s cracking. And the simple act of opening or closing the window grinds the paint (we’re talking about lead-based paint that was prevalent pre-1978) into powder, thus releasing lead dust in and around the window. How is this.